For those whose natal days fall in the 20th century, perhaps the name Dolly Parton might be music to your ears. But, for millennials who missed her heyday when she was most glamorous, it is time to know her oeuvre in detail. For decades, Dolly Parton managed to win the hearts of country and pop music lovers with her rich vocals. She rose to become the exalted cultural icon with a plethora of beautiful songs and a personality to cherish. Her music career was full of bliss with her hits topping billboards and array of screen projects to handle. 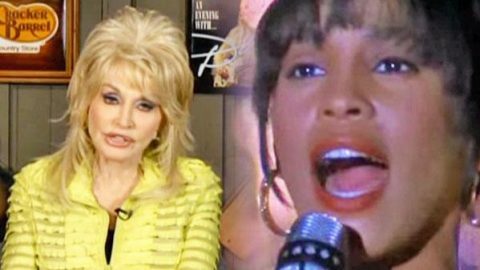 So, who is Dolly Parton? Dolly Parton was born on the 19th of January 1946, in Locust Ridge, Tennessee in the United States. She has won numerous accolades as a singer, author, songwriter, record producer, actress, philanthropist, and businesswoman over the years. She is known worldwide for her country music. Dolly Parton came from a humble background before she turned to international stardom as her family had next to nothing. She grew up in a multi-talented family consisting of 12 brothers and sisters who are still actively pursuing different roles in the entertainment cycle. In the little known smoky mountains in Tennessee’s Sevier County, her mother nurtured them into the music world. They were active participants in the church as singers and continued with the same even when at home. Dolly Parton penchant for the music world began even before she started formal schooling. Her mother noticed her talent and would occasionally coach her especially with the old mountains songs. Her interest continued to grow and she would sometimes perform in front of her brothers and sisters. That prompted her uncle, Bill Owens, to introduce her to the real world of music. Bill Owens took her to Knoxville where they met Cas Walker who owned a chain of grocery stores. Now, what the little 10-year-old Parton had to do by then was to promote the stores on radio and television. She gave a good performance on entertaining songs which earned her twenty dollars a week. It was during this time that she wrote her first single “Puppy Love” and “Girl Left Alone” at the age of 11. Owens wangled studio time for 13-year-old Parton in Louisiana and successfully reached a deal on Opry. But, for her to get a spot for Goldenband Records one performer had to give up their spot and Jimmy C. Newman stepped aside for her voluntarily. According to organizers she was to do one song, but due to public demand, she earned three encores. Dolly was fast spotted as a songwriter by Buddy Killen on their mission to Nashville with Owens. She managed to earn a publishing contract at Mercury Records and released the single “It’s Sure Gonna Hurt”. Also on the list was “Don’t Drop Out”. Upon graduating from high school she left for Nashville soon after. Things changed for better in Nashville right after finishing high school. She signed a recording contract with Monument Records in 1964 and recorded “Happy Birthday Baby “and other singles. It was until 1967 when the debut album “Hello, I’m Dolly” was released by Monument Records. The album received favorable reception and it had hits like “Dumb Blonde” and “Something Fishy”. In the late 1960s, her career began gaining national stature from country music lovers after she teamed up with Porter Wagoner. Her role was to replace Norma Jean who by then was a country music vocalist in the music television show, The Porter Wagoner show. The duo recorded 12 albums between the late 1960s and early 1970s in which most of the songs hit top 10 country charts. They come up with “The Last Thing on my Mind” which had a good rhythm. Another song that hit the airwaves was “Daddy Was an Old Time Preacher Man” and “Coast of Many Colors”. The collaboration also come up with “Touch Your Woman” and “Traveling Man”. In 1974 her single “Jolene” hit No. 1 top spot in the U.S. She then left Wagoner in mid-1974 to start her solo career where she did No.1 hit single “I Will Always Love You”. Parton also relishes successful collaboration with other artists. That was seen when she collaborated with Emmylou Harris and Linda Ronstadt. In 1987 they recorded the Grammy Award-winning album – Trio. Her single “I Will Always Love You” was featured in the film TheBodyguard by Whitney Houston – 1992. That song got a new popularity dimension as it topped the chart for four weeks. It was later on classified as the bestselling singles of all time. She met Jane Fonda on a plane and her first role in the movie world was born. The comedy movie was called “9 to 5” where Dolly played as Doralee and also contributed on the soundtrack. The song was a hit which earned her two Grammys and an Oscar nomination for Best Original Song. In 1992 she starred in the movie “The Best Little Warehouse in Texas”. Also in the same year, she teamed up with Kenny Rodgers for a smashing hit “Island in the Street”. Her music career did not stop there as in 1999 she released the record “The Grass is Blue”. In 2001 the song “Shine” was a hit in her album debut Little Sparrow and “Backwoods Barbie” – 2008. Carl Thomas Dean was 21 when he met 18-year-old Dolly Parton and since then their marriage is now 5 decades and counting. According to Carl Thomas Dean, it was love at first sight and without wasting time, he made the decision to make Dolly his wife. Dean’s mother supported their relationship with a proposal for a lavish wedding. But, Dolly’s contract with her recording label forced them to wait a little bit longer. Eventually, they ended up in a hastened private wedding in Ringgold, Georgia on May 30th, 1966. Dean and Parton celebrated their 50th Golden Jubilee in 2016 and it was glamorous. Carl Thomas Dean is an American born on July 20th, 1942 in Nashville, Tennessee. Dean has never been on the spotlight despite living with a household name, instead, he prefers to remain away from the media attention. As a matter of fact, Dean has never attended any of Dolly Parton’s shows which shows the intensity of his preference in being out of the spotlight in the media world. His line of duty is contrary to what Parton pursues as he is said to have run an asphalt-laying company before retiring from business. The driving force behind their bond, according to Dolly Parton, is Dean’s humor. She also gives credit to Carl Thomas Dean for supporting her in her show business. Dean has his life under wraps that so little is known about his wealth. However, the duo supports the Dr. Thomas Foundation and is known to have been performing charity works over the years. Dolly Parton is a Country Music legend and her music traverses all angles of the globe. On the other hand, she does not have a kid of her own with Carl Thomas Dean. But, that has not deterred her from having a family. Dolly is known as the godmother of performer Miley Cyrus. According to an interview with The Guardian, Dolly Parton dreamt of having kids with Carl Thomas Dean. She went on to say that she had already picked a name for the child in mind as “Carla” but, it never materialized. She also narrated how the kid would have created a huge impact on her career. According to Parton, she would have given up everything in order to concentrate on her kids. Dolly Rebecca Parton is one of the greatest female country music singers of all times. Her prowess has earned her names like “The Smoky Mountain Songbird”, “The queen of country music”, “The Backwoods Barbie” just to mention few. Parton is renowned for her work as songwriter, philanthropist, actress, businesswoman, author and record producer. Her career has been successful having won 153 major awards and a whopping 413 nominations. Her love life with Carl Thomas Dean is also an inspiration to many people.